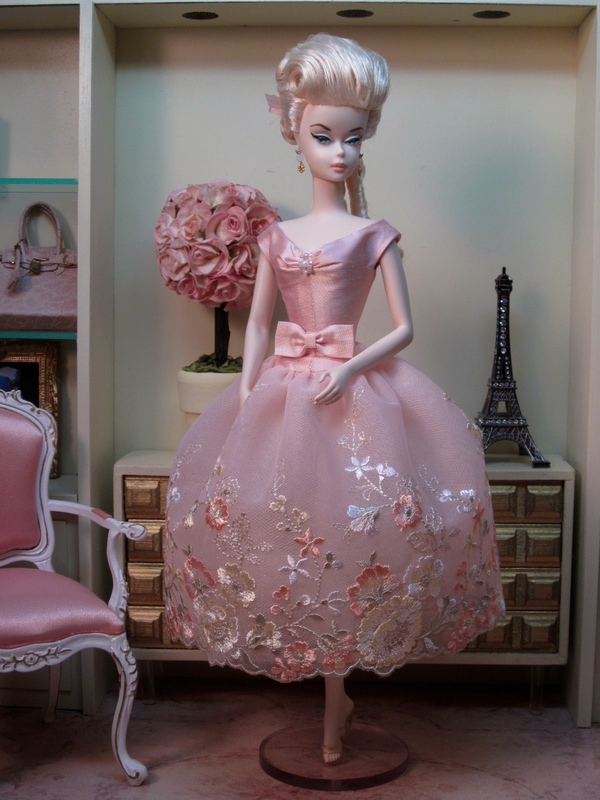 Marie models an ethereally lovely lace party dress in palest pink, buttercream, pale green, and cream. The off the shoulder, dropped waist bodice is made of pale pink silk. It is ruched at the bust and embroidered with tiny pink beads and pearls. 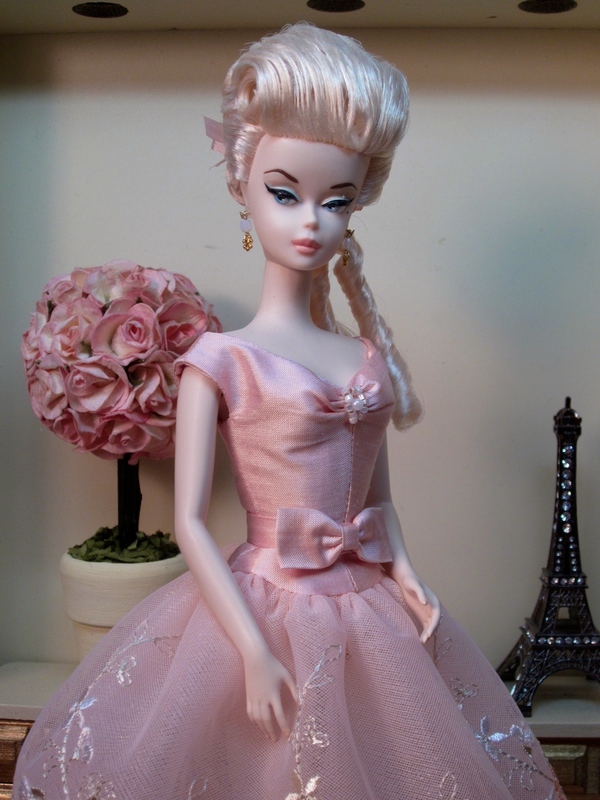 A pink silk bow belt defines the waist. 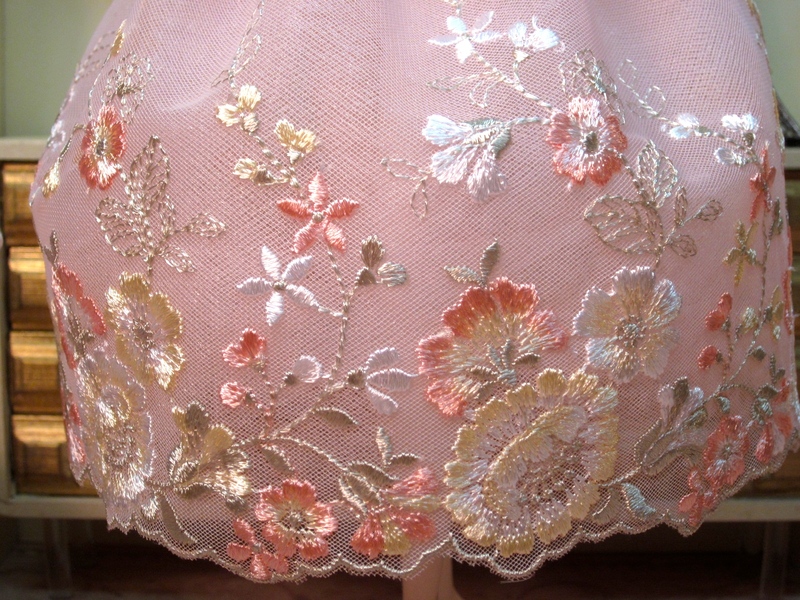 The lace skirt is embroidered tulle in pale pink, embroidered with roses and snow drops. 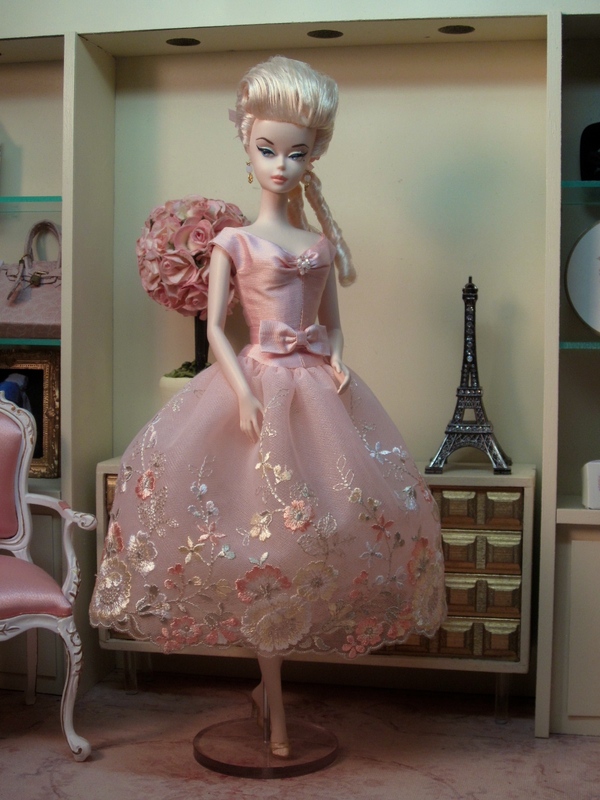 Six layers of blush pink shimmer tulle result in a gorgeous full skirt. 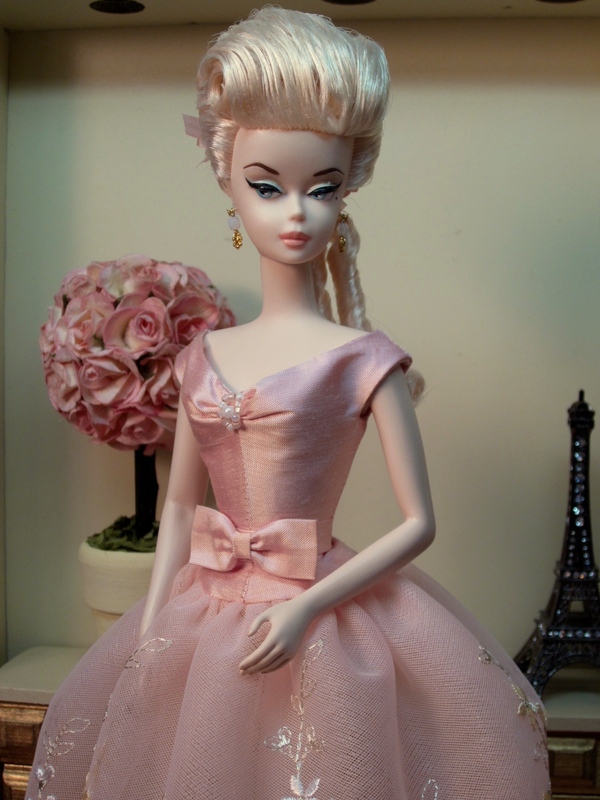 This fashion fits Silkstone Barbie, Victoire Roux, and FR2 dolls.